My video pick for the new week was actually posted by The Met last week. 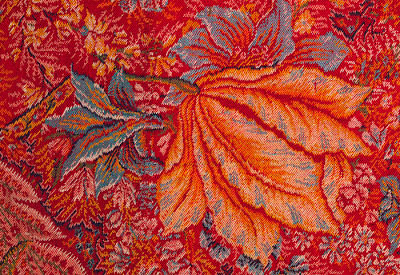 Part of the museum's 82nd & Fifth series, in this installment, Looming Change, Melinda Watt looks at a staggeringly large 19th-century twill tapestry shawl with a design that blends Indian boteh motifs and blousy European garden blooms -- peonies, tulips, roses, hydrangeas and carnations. 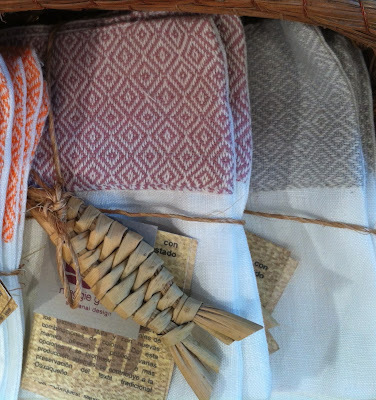 While we already know why hand-woven textiles are worthy of admiration, Watt makes the case that sometimes machine-crafted wares, too, can be brilliant examples of human ingenuity. 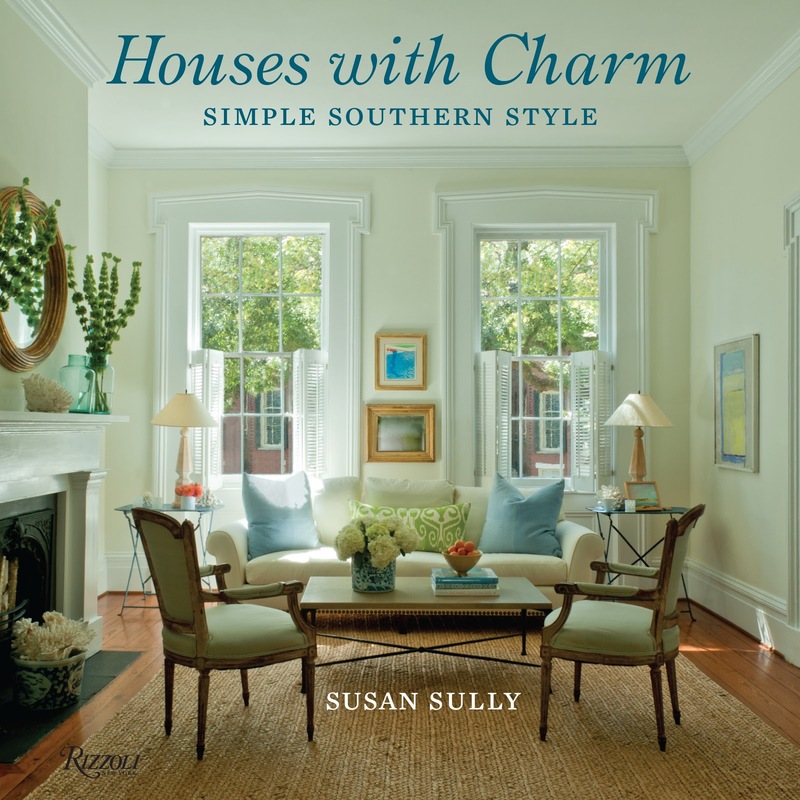 Southern style as typically depicted in the movies isn't what you'll find in Susan Sully's new book. There are no grand Georgian or Greek Revival digs. Instead she's turned her attention to the kinds of places many of us natives admire most: the unpretentious "double-shotguns" of New Orleans and early Creole houses of greater Louisiana, the cottages tucked into old tree-lined Atlanta neighborhoods (see Ryan Gainey's garden above) and the brick townhouses of Savannah. 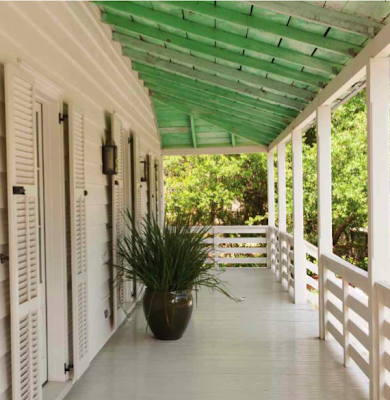 Aesthetically, the houses on her radar are diverse but they all have what Sully describes as a sort of disarming quality -- an ability to enchant. Hence the title, Houses with Charm. What I've noticed about the sixteen included residences is a nod to tradition -- whether obscure or more obvious, in the case of Richard Gibbs and Randy Harleson's LeJeune House, above -- combined with lots of personal warmth. 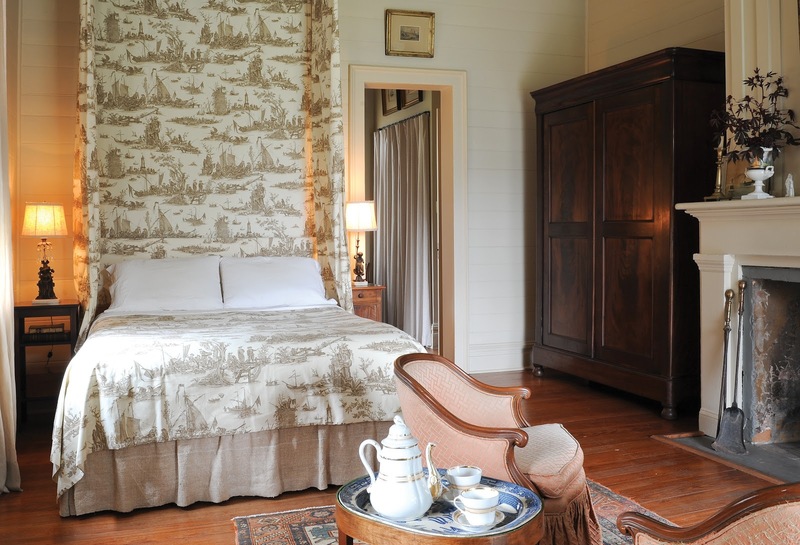 In the master bedroom, a long swathe of boat-themed Scalamandre toile makes for a soft note in an otherwise restrained space. 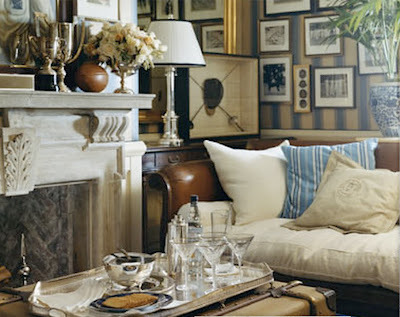 Used in a very different design mash-up, the soft blue-and-white toile sofa in this waterside Mid-Atlantic house done by Mona Hajj becomes the quintessentially Old School piece that serves as a European counterpoint to a host of Near-Eastern textiles: a striped Persian kilim; a Turkish suzani; and another Persian rug covering the Ottoman-style table. Down the coast at Sullivan's Island, the Cooper's previously mentioned house is youthful with a modern edge but retains a strong sense of place. 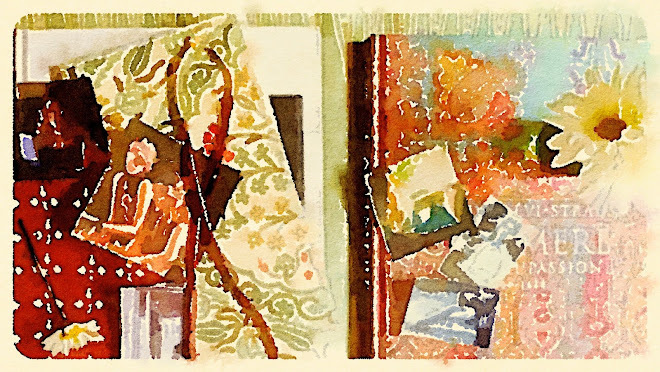 I like how Timothy McDowell's contemporary triptych suggests old Asian screens or panel paintings frequently found in traditionally decorated Southern houses. 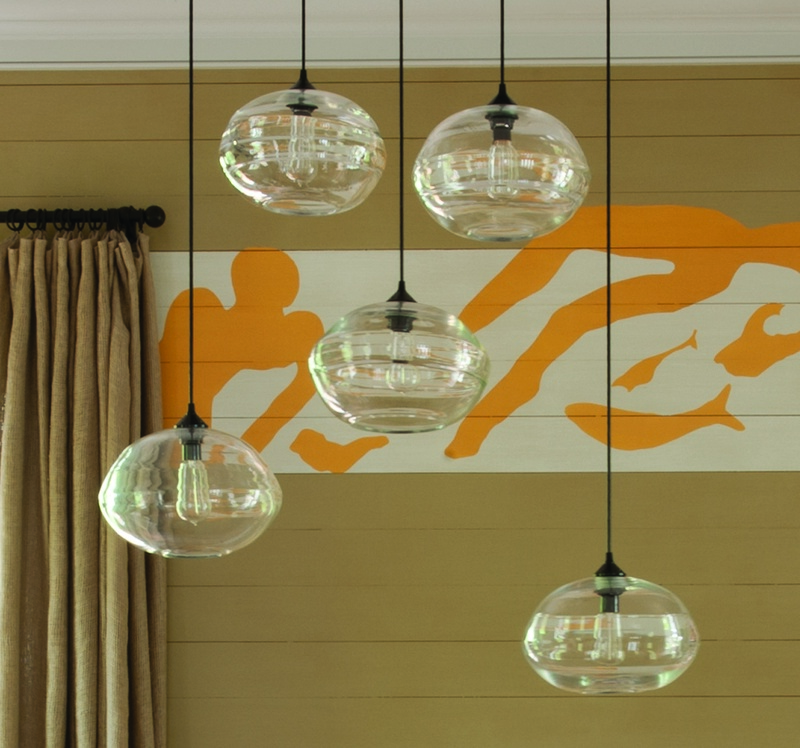 One of designer Amelia Handegan's most unexpected strokes is the dining room mural. 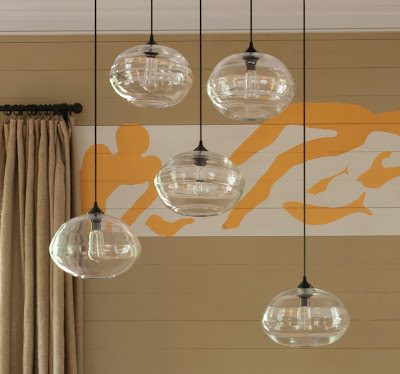 She commissioned Kristin Bunting to paint the walls with swimmers inspired by Matisse's abstracted cutout figures that dominated his own dining room walls at the Hôtel Régina in Nice. On paper I might think an interpretation in South Carolina would be contrived, but somehow it really works in this vernacular circa 1890 beach cottage. 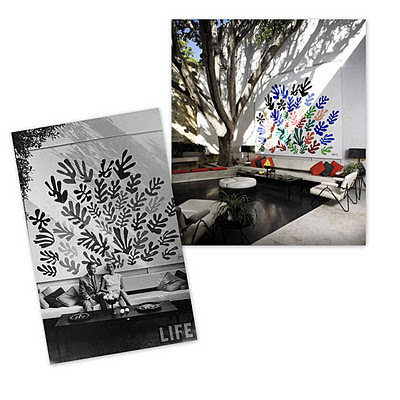 To see the entire mural, and how beautifully it connects with the adjacent living room, flip through Sully's latest book when it hits book stores mid-April. 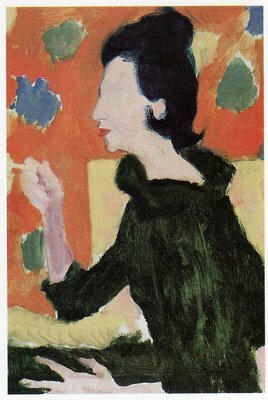 Regarding Matisse, it seems as if we've been talking about LACMA's new Brody acquisition forever. Now, though, beginning April 21, the public can view the ceramic installation La Gerbe along with supporting materials such as Matisse's original maquette for the project (on loan from the Hammer Museum); the initial color samples he sent from France to the Brodys in California; Mrs. Brody's candid accounts of the process she and her husband went through with Matisse during the commission; her correspondence with the artist’s son and dealer, Pierre Matisse; and archive press about La Gerbe and its first installation. 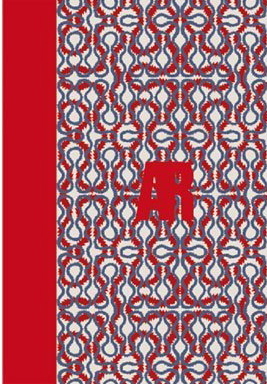 Also of interest: Rebecca Rabinow's Reading Matisse over at The Met online. In a few days we'll look at author Susan Sully's latest, Houses with Charm: Simple Southern Style. Although it officially lands in book shops April 9, I was treated to a sneak peek and can't stop thinking about many of the featured rooms. 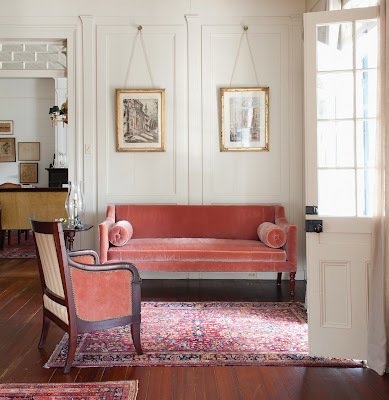 Sully's coverage of understated, supremely stylish places extends from the pared down elegance of Randy Harelson and Richard Gibbs's centuries-old Creole LeJeune House in New Roads, Louisiana to Hartley and Ashley Cooper's color-infused Sullivan's Island home pulled together by Amelia Handegan. 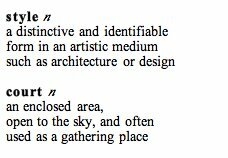 An entry in the latter is pictured above. You really have to click this image and see it on a larger scale -- it merits a future post of its own. 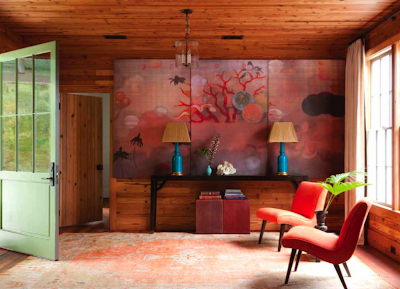 With unfinished pine walls that appeal to husband Ashley, midcentury chairs and warms corals that reflect wife Hartley's taste, an incredibly layered triptych by Timothy McDowell and a soft antique Oushak, it's a wonderful example of Handegan's skill as a mixmaster. Also click here to learn more about McDowell. Texas-born, he's a professor of studio art at Connecticut College. 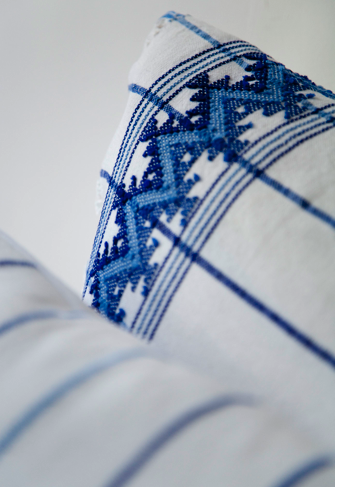 Speaking of British textiles, it was announced today that a woven blanket by Royal College of Art alums, Harriet Wallace-Jones and Emma Sewell, founders of the Wallace Sewell design studio, has been acquired by the Cooper-Hewitt, National Design Museum. 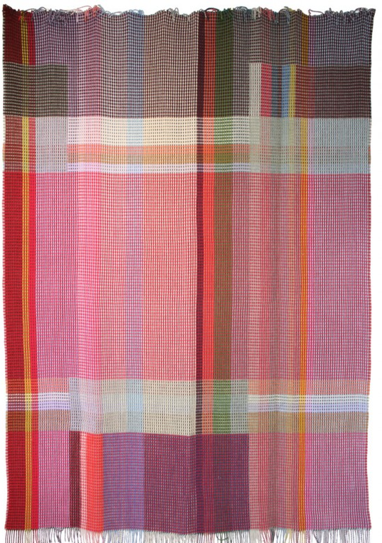 With a look somewhat similar to the abstract composition of the piece pictured above, the Museum's new textile is the 2012 Merton blanket. 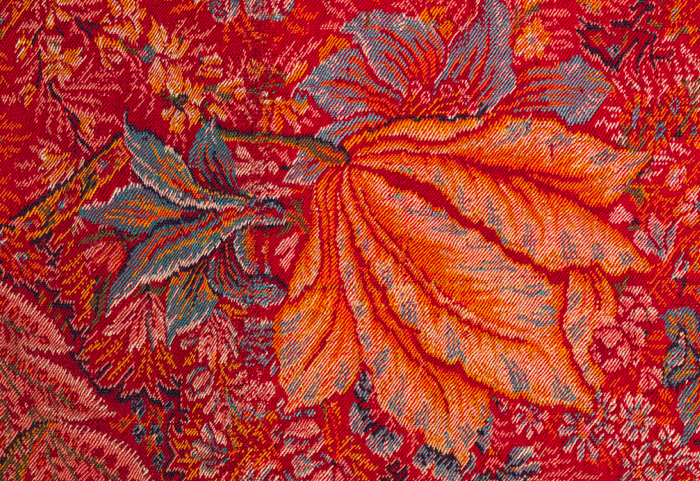 Curators compare the colorful Merton to the early tapestry work of Anni Albers and Gunta Stölzl. 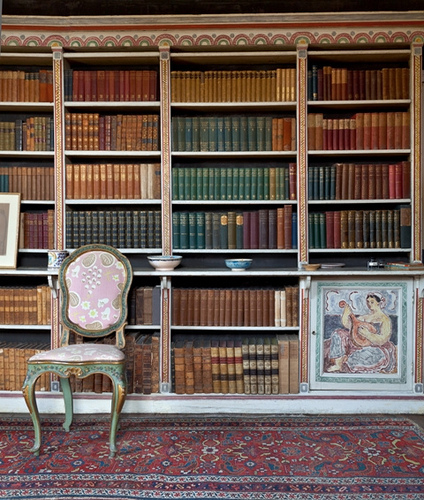 To keep tabs on the Cooper-Hewitt's continuing renovations, see this past post or visit RE: DESIGN. Usually scent triggers a visual memory but recently things were reversed: when I saw Laura Ashley's summer 2013 catalog, I could practically smell the floral notes from the potpourri and perfume (freesia?) and hear the creaking wood floor boards in the eponymous shop at the mall circa 1989. 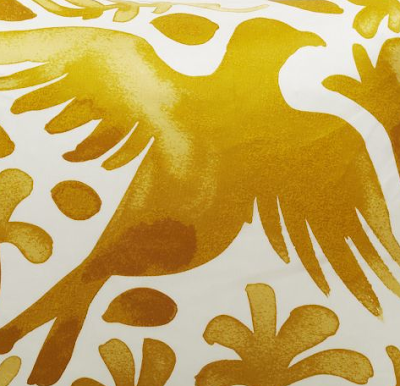 It was in the early 80s that Laura Ashley's son Nick instigated a partnership with the Charleston Trust, assisting with the restoration of the farmhouse once shared by artists Vanessa Bell and Duncan Grant, and reproducing some of Bell's and Grant's abstract printed fabrics from the 1930s Walton series. 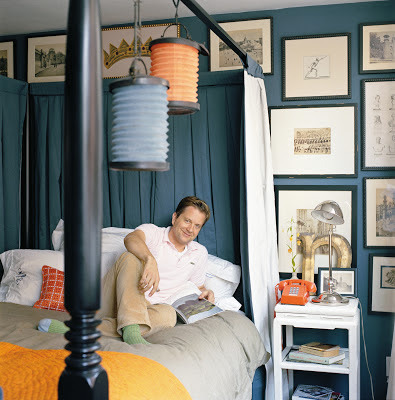 As I mentioned a while back, across the pond in the U.S. this resulted in lots of bedrooms (little girl, teen, tween, toddler) with a Bloomsbury vibe. Now we're in the midst of an 80s revival, with one of the year's most anticipated exhibitions being the V & A's Club to Catwalk: London Fashion in the 1980s. 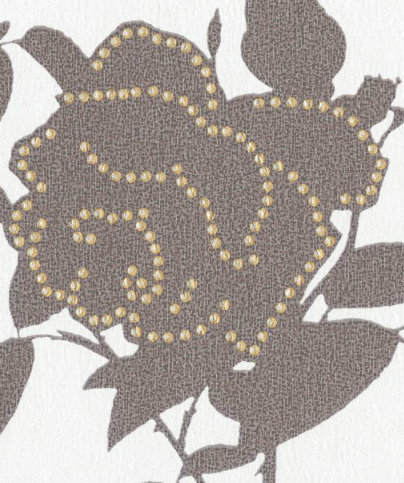 It also happens to be the company Laura Ashley's 60th anniversary. 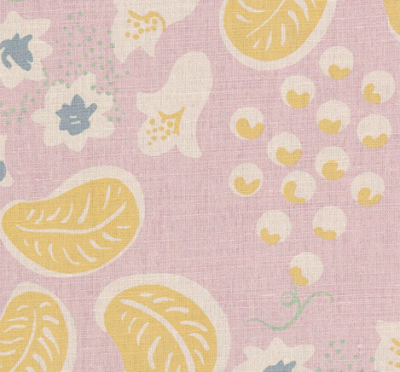 So two Grant designs, Grapes and Queen Mary, have been reissued in linen-cotton for summer. 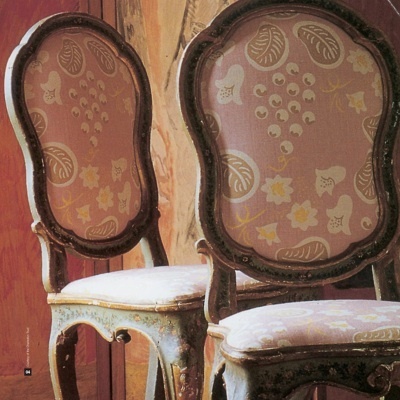 When Grapes first appeared, it would've felt startlingly fresh and modern, and even more groundbreaking when Bell and Grant used it to upholster formal 18th-century Venetian chairs. 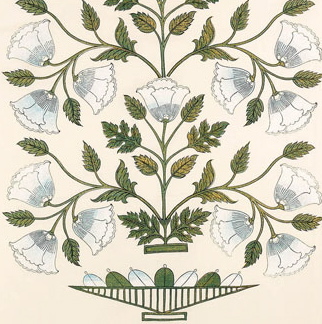 Bold Queen Mary, aka Flowers and Leaves, was originally designed for Cunard's ocean liner but was rejected as unsuitable. Of course in earlier decades, working for the Omega Workshops, Bell's and Grant's designs were more abstract. 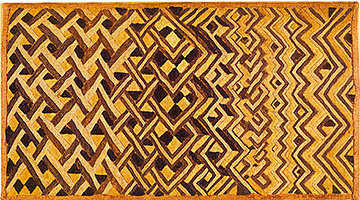 Then they were influenced by African textiles and Cubism. 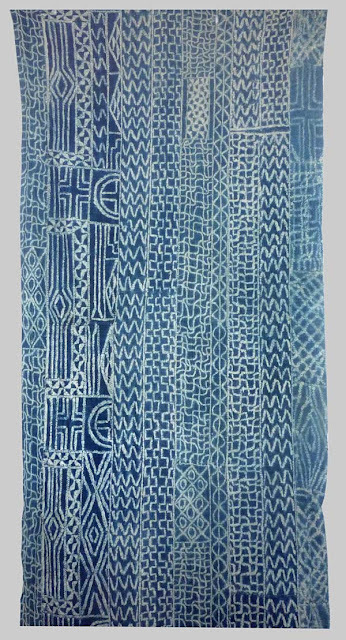 This brings me to a reminder of Saturday's opening at the High: Symmetry/Asymmetry: African Textiles, Dress, and Adornment will spotlight indigo cloths from West Africa and Kuba textiles from Central Africa -- in all more than 40 pieces representing 7,000 years of design from across the continent. The show will remain on view through August 25. Btw, Charleston and Laura Ashley are teaming up to offer two-day upholstery workshops this June and October. Details here. Chocolate plus blue-and-white pottery: what's not to like? I think these Mexican Talavera pots used to store the ancient indigenous delicacy may just be my latest favorite thing (note the chocolatero in the previous post). 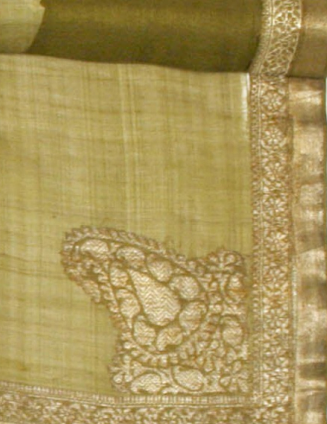 With Asia Week in full swing, it's interesting to think about how Chinese design influenced their look. 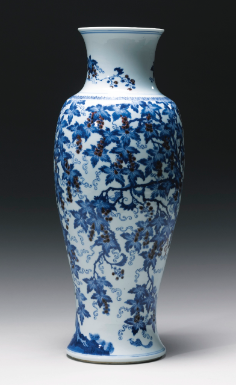 Several centuries ago, potters in Puebla would have had access to blue-and-white Chinese export porcelain because the Mexican city was on the trade route between the East (specifically the Philippines) and Spain. 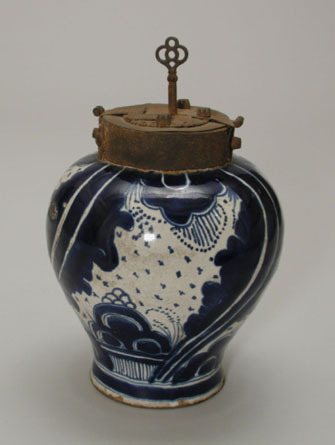 According to The Met, masses of Chinese wares actually landed in Mexico and were used by Pueblan potters for inspiration. 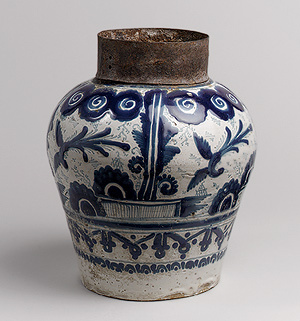 Curators at Berkeley's Phoebe A. Hearst Museum of Anthropology add that the cobalt oxide blue and white glazes ruled for a long time. 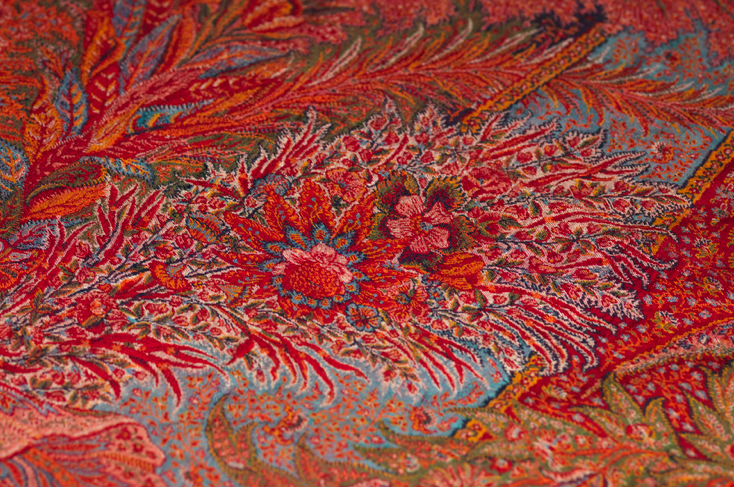 Multi-color pieces didn't come into vogue until the 19th century. 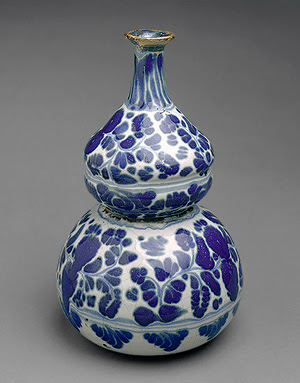 Btw, U.S. appreciation for Mexican Talavera and related work owes a lot to the efforts of pioneering women including early 20th century collectors Phoebe Hearst and Emily Johnston de Forest. 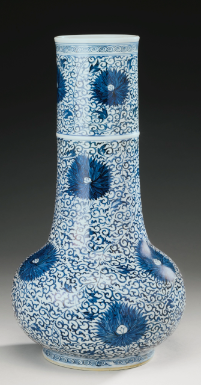 The Met's 1920s catalogue, "The Emily Johnston de Forest Collection of Mexican Majolica," is online here. While the illustrations are a bit grainy and only in black-and-white, you can still make more design connections between the very old and the very new. Thanks to a collaboration with Mexican-born-and-raised designer and illustrator, Paulina Reyes, elements of West Elm's summer 2013 collection have a distinctly Latin flair. 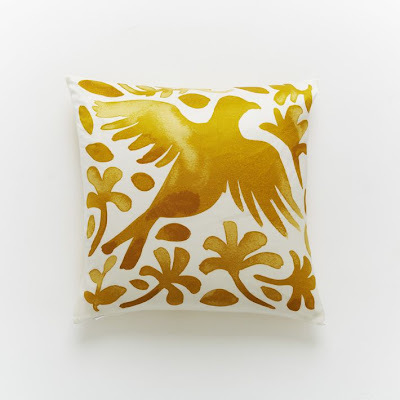 On a series of new pillows, the stylized birds and branches of old Mexican craftwork are reinterpreted by U.S.-based Reyes with a loose painterly quality that is quintessentially her, but also evokes the handpainted Talavera ceramics she grew up with. Obviously Mexican style -- past and present -- is on my mind because the previously mentioned event, Dialogos: Contemporary Mexican Design, will take place at the High this Thursday evening. Again, admission is free but tickets are required. If the presentation inspires you to see Frida & Diego, the museum galleries will remain open after the panel discussion until 10 p.m.
Savannah is always worth a visit but design enthusiasts have added incentive to head to the city April 15 through 19 when a host of industry luminaries (interior design, fashion) will be at the Savannah College of Art and Design for the annual happening, SCAD Style. Filmmaker Lisa Immordino Vreeland will discuss her recent documentary, Diana Vreeland: The Eye Has To Travel on April 16 at 6 p.m.; Charlotte Moss will talk about the visual life and what sparks curiosity on April 17 at 3 p.m.; M.K. Quinlan and the G & G editorial team will participate in a panel discussion about the future of the lifestyle magazine, April 18 at 11:30 a.m.; and globe-trotting Nathan Turner is scheduled to arrive April 19 for a 3 p.m. presentation on American style and entertaining at the SCAD Museum of Art (I think he is going to appreciate the institution's preserved 19th-century gray brick walls and adaptive reuse of an old warehouse). These are just a few highlights. See the master calendar for a complete overview. At SCAD's Atlanta campus, Ralph Lauren's Liz Paley, senior vice president of marketing, and Joe Berean, creative director of wholesale e-commerce, will speak on April 15 at 6 p.m. If you enjoyed Georgia native Deborah Draper's documentary, Versailles '73: American Runway Revolution, about a certain barrier-breaking moment in fashion history, please note the director will be on hand for a Savannah screening and panel discussion along with "Halstonette" Pat Cleveland and Coty-Award-winning designer Stephen Burrows on April 15 at 2 p.m. 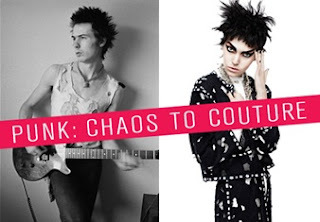 In less than two months, The Met's major 2013 Costume Institute exhibition, PUNK: Chaos to Couture, opens. One of the themes of the show will be how Punk's DIY, non-reverential, take-matters-into-your-own-hands spirit influenced not just fashion but contemporary culture as a whole. For example, 21st century online media, a frontier where all sorts of creative individuals equipped with digital cameras can become players. So I've begun to ponder interior design, wondering about the possible impact of Punk. Instant Space designer Max Humphrey, with his appreciation for The Clash and Vivienne Westwood, definitely comes to mind first, along with Betsy Burnham and Kelly Wearstler (thinking of her graffiti walls and semiprecious skulls). 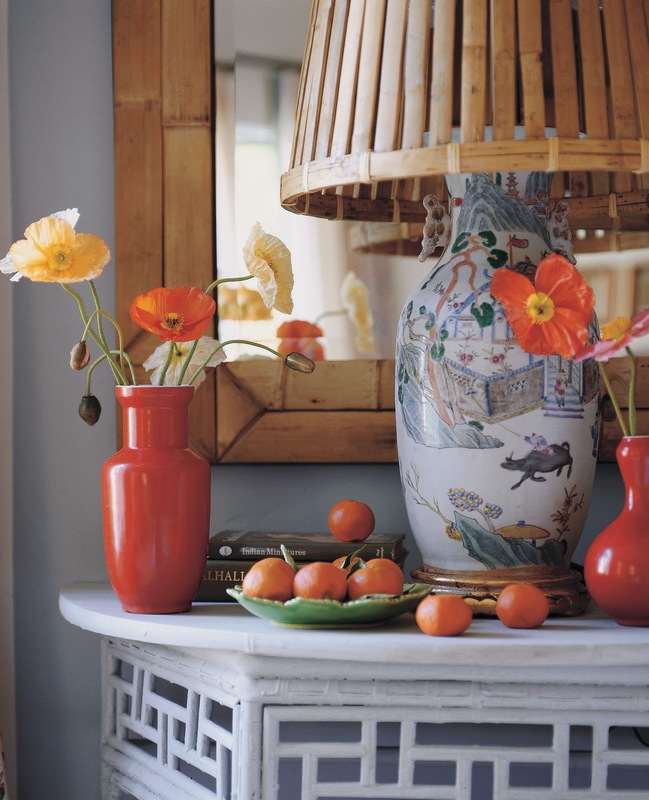 Why did I re-post Mary McDonald's polished and apparently un-subversive chinoiserie vignette, at top? There are no bold hits of black, no studs, no chunky padlocks, no edgy uses of tartan. True, but there is a bamboo trash can turned upside down and put into action as a lampshade. In 1978, during England's garbage strikes and period of serious economic strife, John Lydon, aka Johnny Rotten, transformed pink and green government-issued trash bags into clothes. 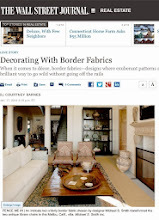 In short, this is bricolage -- repurposed found objects that might be simply practical or in other cases statement making (curator Andrew Bolton elaborates in a recent video). McDonald's lampshade may have more to do with the really Old School improvisations of Sister Parish or Nancy Lancaster. Still, with MM's background in fashion, it's interesting to speculate about all potential influences. We've already looked at the Rodarte Ming dress in the MFA Boston's permanent collection (it's currently on view along with these carved heels in New Blue and White) but here's a detail of another piece from the past spring line. 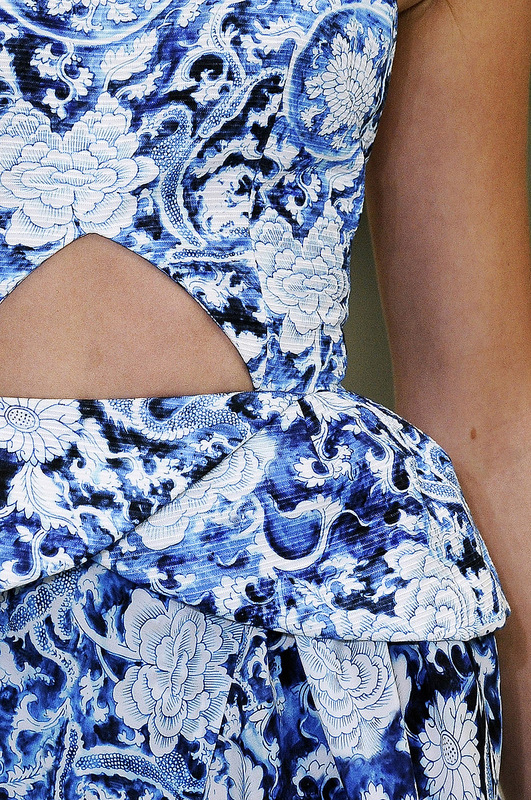 Inspired by Chinese porcelain, Kate and Laura Mulleavy, the designing duo that is Rodarte, created their own blue-and-white silk organza print. 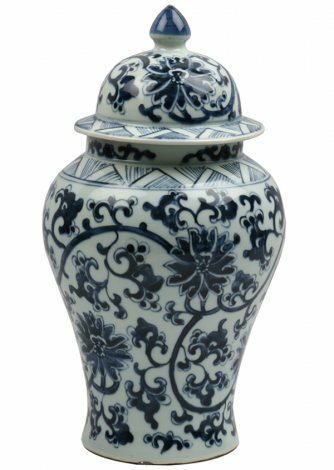 However it wasn't just the fabric that recalled centuries-old ceramics, the silhouettes of the dresses suggested Chinese vases too. 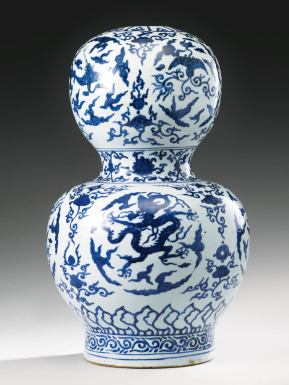 Some of the offerings in Sotheby's upcoming Asia week sale help illustrate the point. 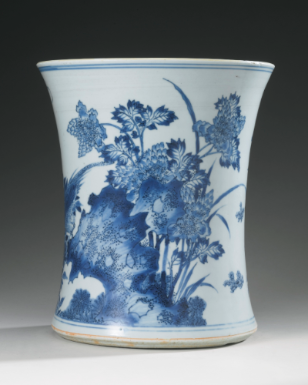 Underglaze blue Kangxi period vase. 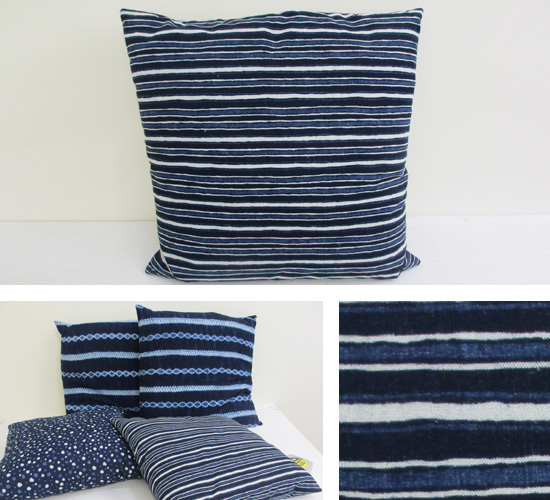 Blue-and-white double-gouard. Jiajing mark and period. Qing dynasty vase. Kangxi period. 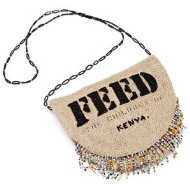 A much more budget-friendly contemporary take via Ben Pentreath. 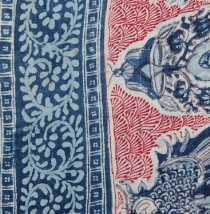 Btw, on Saturday, April 6 at 1 p.m., Wendy Dodek will speak at the MFA in conjunction with New Blue and White. 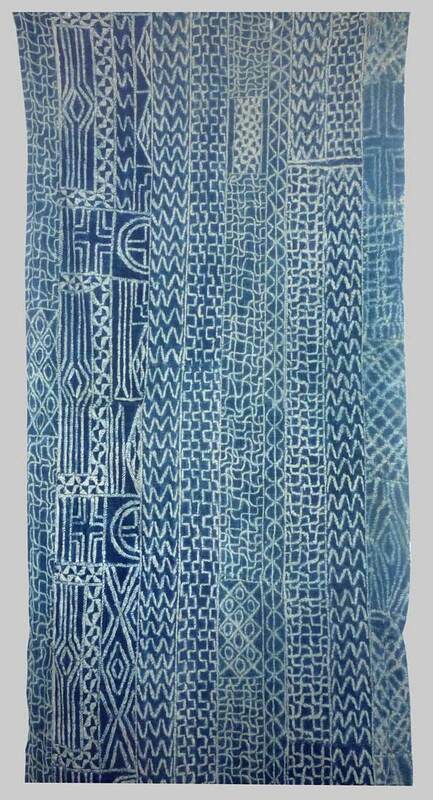 Her talk will be about the celestial blues in Kondo Takahir's work. 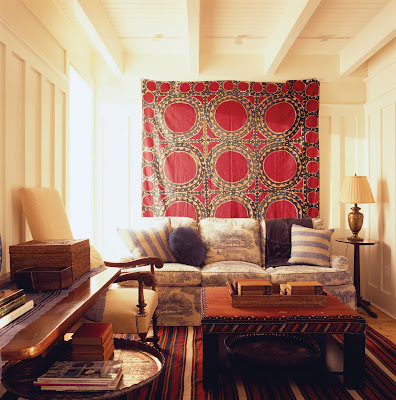 Rich floral embroideries, Mexican folk weavings, chunky beads and, above all, saturated colors. 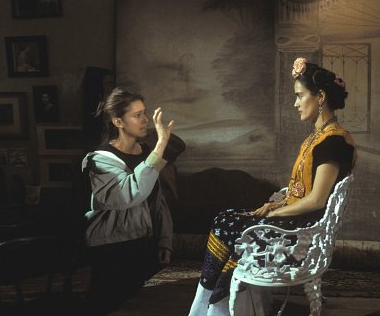 These are some of the elements used by Julie Taymor and her team to effectively bring Frida Kahlo's world to life on the big screen. A much smaller computer screen is where I've seen the movie in recent months (the High's monumental exhibition, Frida & Diego: Passion, Politics and Painting, inspired me to take another look). But now I can experience all the vibrant details on a grander scale. 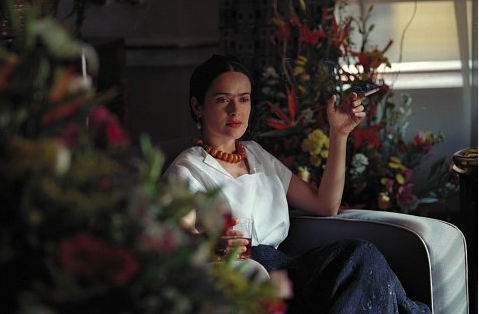 Through May 11, the Museum is screening Frida every Saturday at 2 p.m. If you're in Atlanta, watch Hayek don the turquoise beads, paint the body cast, and channel the artist's spirit, then head to the galleries to see the highly personal pieces in person. 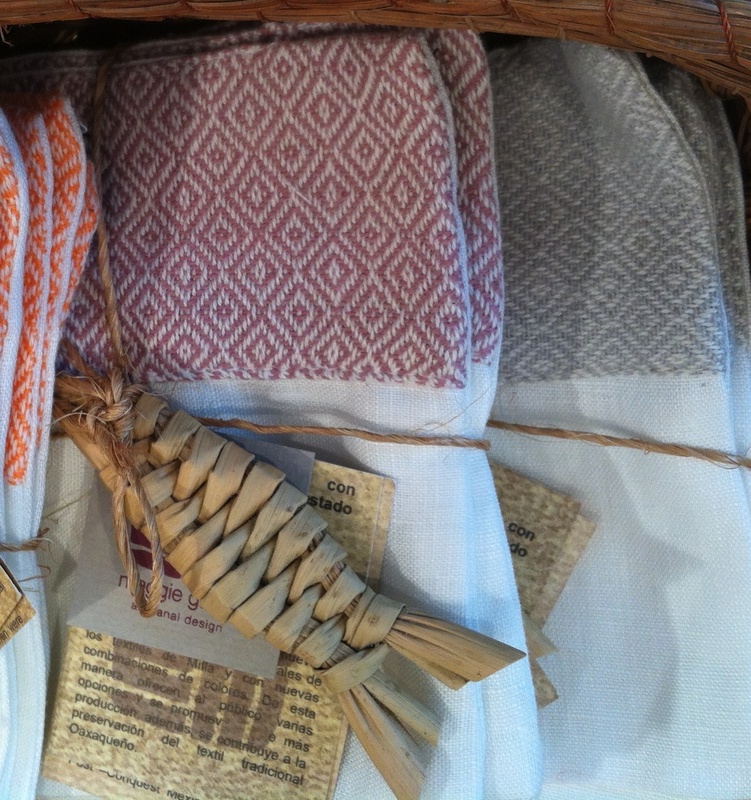 Btw, about midway through the film I spied a headboard done in what appears to be an indigenous geometric that looks a lot like the woven border of Maggie Galton's cocktail napkins, for sale in the High gift shop. And speaking of 21st century Mexican aesthetics, on Thursday, March 21 at 7 p.m., the Museum presents Dialogos: Contemporary Mexican Design. Héctor Esrawe and Ignacio Cadena, co-founders of THiNC, will be on hand for conversation along with the High’s Curator of Decorative Arts and Design, Sarah Schleuning, and Ana Elena Mallet, Consulting Curator for MoMA’s Destination: Mexico. The movie is free with museum admission. Talk is also free and open to the public but tickets are required. Comments on the previous post motivated me to deviate from my usual pattern of reading only art-related nonfiction and finally delve into A.S. Byatt's Booker prize-winning Possession. I've had the book less than 24 hours but I'm already consumed with her use of green (the color, not the movement), ranging from the palest silver-greens to the richest emeralds. 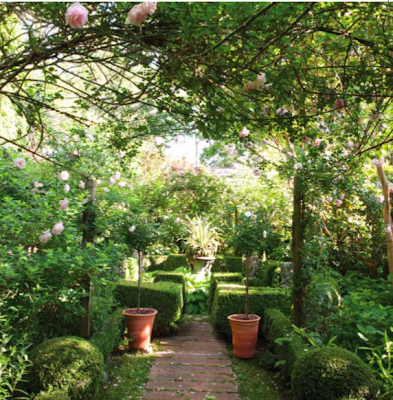 This painterly writing style and focus on verdant shades is discussed here, in a short 2004 BBC radio program. 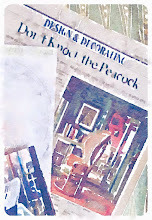 Back in the design realm, Amelia T. Handegan communicates with color brilliantly too. In fact, her approach has also been described as painterly. With a skilled hand, she brings shimmering saris and other Indian textiles into restrained Lowcountry rooms (think turquoise silk at the foot of an otherwise dressed-down antique mahogany four-poster). 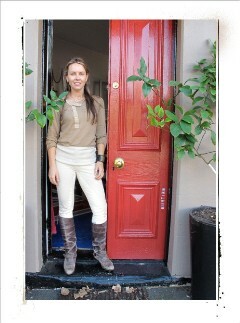 And while she's best known for handling historical projects, she can definitely embrace Modern. At the end of March I'll be sharing a less expected Handegan room with bits of midcentury flair -- a project published in a soon-to-be-released book. Let's rewind to 2002. If your weekend included a Gwyneth Paltrow movie, she was likely cast in the role of an Englishwoman. Take, for example, Possession: in this one she plays contemporary women's studies professor Maud Bailey. 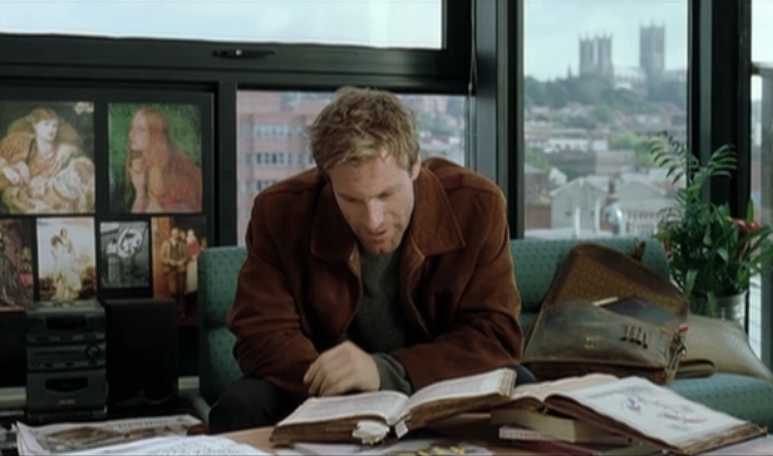 And while the film is comprised of flashbacks to the Victorian era -- actually lush scenes of the Victorian Avante-Garde, a movement she studies -- set decorator Ian Whittaker also gives us clues to Bailey's own tastes and personality via her flat outside London. 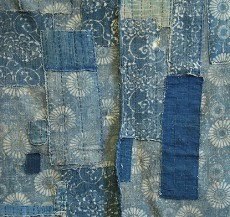 Notably there's Brigitte Singh's Indian handblocked panel, Blue Tara, hung on a wall rather than used as a curtain. 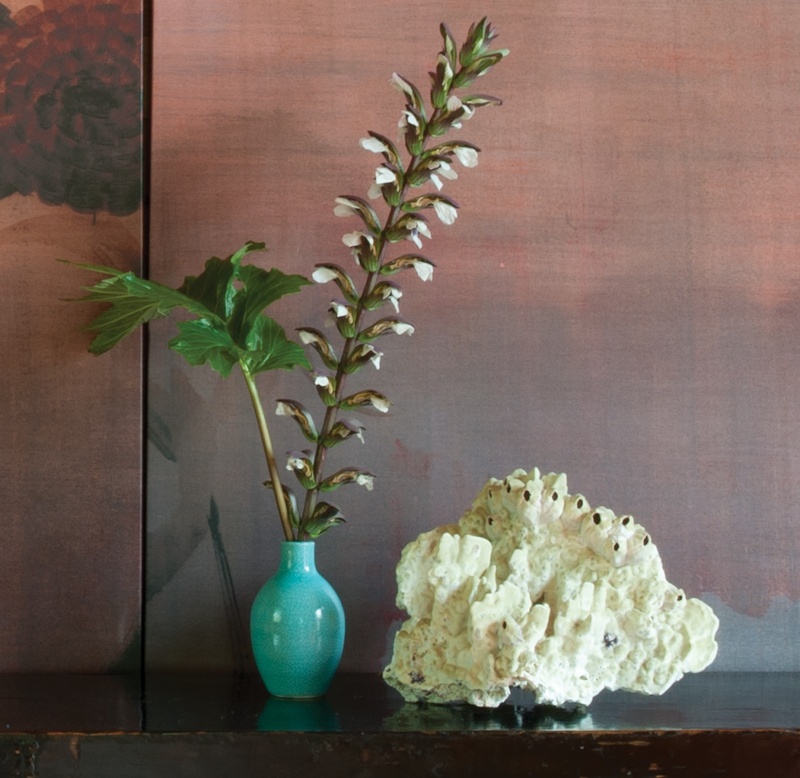 Similar concept to hanging just one or two chinoiserie wallpaper panels as art, but approached more casually. Also tacked to walls in Bailey's office are scores of pictures, many suggesting the works in this current NGA show. 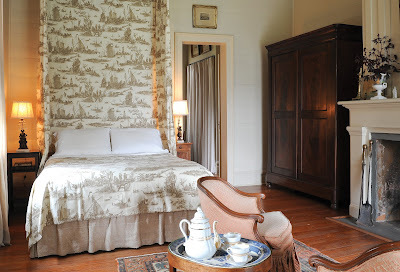 To see small Chinese wallpapers and other painted panels framed in centuries past, click here.